My love for The Baby-Sitters club. 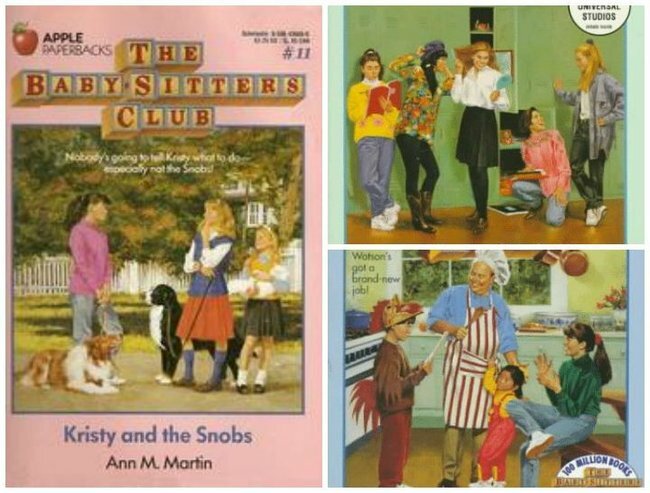 How The Baby-Sitters Club got me through my lonely childhood. I was young, second or third grade, when my mum took me over to one of her friend’s homes. Her friend had a daughter who was older than me — a middle schooler, maybe, or perhaps in high school — and spending time with her in her room was special to me. It was like having an older sister, something as an only child I’d always wanted but never had. I don’t recall us ever truly doing anything, but I remember being fascinated by the things she was into: pictures of cute boys from magazines taped onto her wall, tapestries hanging from the ceiling, recorded episodes of 90210 on VHS from the week before. 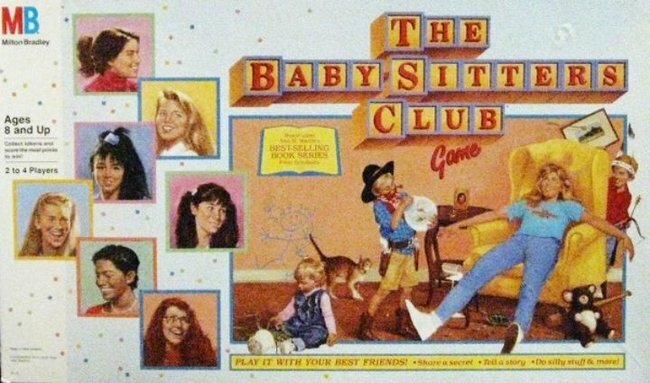 The Baby-Sitters Club board game. I progressed to the BSC pretty young, since I blew through Karen’s stories at breakneck speed. I decided pretty swiftly which girls I loved and which ones didn’t hold my attention in the same way. If Stacey or Dawn or Claudia were the main character, I was 100% in on the book. Stacey, if you don’t recall, deals with parents who get divorced during the run of the series, and she was often put into the middle of arguments between them. While my own parents didn’t bicker with one another enough to put me between them, I did spend much of the time at my father’s house listening to him and my step-mother putting down my mum in ways that made no sense — why didn’t my mother give me hundreds of dollars to spend when we went on a trip to Disney, instead of just $20? (…because she couldn’t afford to). When Abby Stevenson moved to Stoneybrook and became a member of the BSC, I found myself really in love with her and her story. She had a twin sister, and she had no father in her life — he’d been killed in a car accident. There was something about her that immediately rang true to me, and her books were ones I returned to again and again. They were the ones I was most eager to grab from the shelf at Crown Books whenever they released. My mum would drive me there, let me loose in the book section, and I knew I could come back with one, maybe two, new paperbacks. They were always BSC titles. 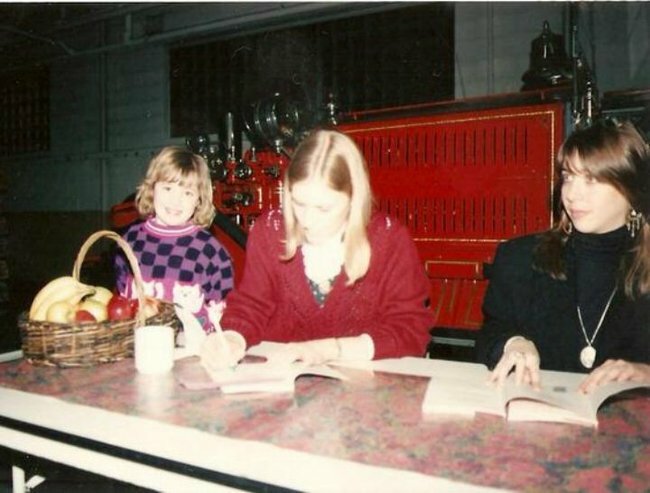 One of my fondest childhood memories — one I turn to again and again and realise set me on a course of loving books and reading — was when I got to meet the author of the BSC, Ann M. Martin. It was a rainy day, maybe in March or April, and I was in second grade. My friend, a redheaded girl named Lauren, had a mother who was always taking her and her little brother places. She’d gotten to do and see a lot of things I never got to, in part because my mum was a single parent who worked a lot and who worked some odd hours to make ends meet. But Lauren’s mother knew how much I loved the BSC, and she offered to take me with them to the bookstore to meet the author. Kelly meeting Ann M. Martin. The arrangement meant leaving school early, which we did, and I remember clearly that my mum gave me enough cash to buy a couple of paperbacks when I got there. It was special, being let out of school early, and when we arrived to a long line at the bookstore, it wasn’t a big deal at all. All of these kids — all of these girls, almost all around my age or even a little older — waiting in line to meet the creator of their favorite books. It was neat to be there with my own friend, too, talking about our favorite BSC members and how excited and nervous we were to meet the author of the books that had meant so much to us. Kelly is a librarian and a blogger at STACKED. She loves black licorice and debating genre. She’s writing a book for VOYA Press on contemporary YA fiction. Follow her on Twitter @catagator. This article was originally published by Book Riot (you can follow them on Facebook and Twitter). It has been republished here with full permission. The 25 best selling books of all time. 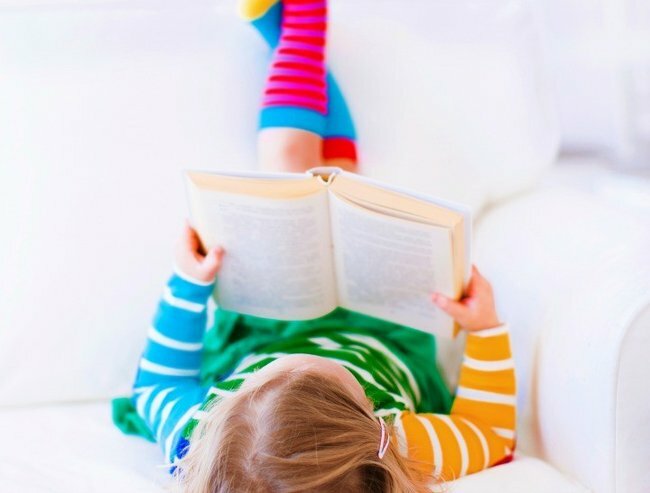 Andrew Daddo: Why books are my go-t0 baby sitter. 7 books I loved as a child (that I’ll force my kids to read too).